When it comes to editing, what we don’t want to do is turn an author’s story into a generic “Beacon story.” The Beacon prides itself in being written by the community, for the community. We reflect that pride by letting each author’s individual voice shine through. Spelling errors – A spellchecker isn’t the whole answer. There are many typos it won’t catch, and many names it can’t help with. And spelling people’s names correctly is vitally important! Grammatical errors – This category doesn’t include issues of style or usage. It’s only about definite errors of sentence structure, verb tense, etc. Consistency errors – See Proofreading Guidelines. It’s extremely helpful if you catch these errors in editing rather than waiting for the proofreaders to catch them. Time is very short by the time we start proofreading. Factual errors – Hopefully it goes without saying that everything in the Beacon must be factually correct. Our readers are counting on us. Logical errors – This category includes contradictions, missing information, information presented in the wrong order, and so on — anything that keeps the reader from clearly understanding the article sentence by sentence, the first time they read it. Clarity errors – This category includes anything that causes the reader’s mind to stumble, even for an instant, and anything that could possibly be misinterpreted or misunderstood. “Social” errors – We have to be very respectful of people’s privacy and feelings! If you have any doubts at all about the appropriateness of anything in an article, please flag it so we can work through any issues with the author and the people involved. Those are the changes we need to make as editors. But perhaps the hardest part of the job is to resist the temptation to “improve” an article. Keep in mind that, except in the case of the errors described above, you don’t want to substitute your words for the author’s words, no matter how much better yours may be. As long as an author’s words are clear and correct, we should leave them alone. It’s hard to do, but it’s very important to the long-term success of the Beacon. One thing some authors find a bit tricky is “voice.” If you’re writing for the New York Times, voice is easy — you’re only allowed to use the New York Times’ “objective journalist” voice. A community newspaper like the Beacon can (and should) have more flexibility in the voice department. The Beacon is where our community writes about itself, so using an objective journalist voice is often a bit inappropriate. If Mom is writing about her kid’s soccer league, it’s fine if she sounds like she’s your neighbor writing about her kid’s soccer league. There’s no reason for our writers to try to sound like something they aren’t! In editing, we need to be sure the voice is clear, consistent throughout the story, and appropriate to the story. Other than that, we can pretty much go with whatever voice the author is most comfortable using (though given the choice, we should encourage authors to adopt a relaxed, friendly, informal voice, not a “New York Times” voice). The issue of voice is tangled up with the byline, too (see below). The less objectively journalistic the voice is, the more important the byline becomes. And by the way, it’s OK (though a little weird) for a person to have a byline and still write about themselves in the third person in the story, particularly if they’re only mentioned in passing. Some people feel uncomfortable doing it the other way. One very important readability issue is the length of paragraphs. In general, the articles that people turn in have paragraphs that are too long for a publication like the Beacon, where the type is set in relatively narrow columns. To avoid long, unbroken blocks of text, we usually need to add paragraph breaks to the article. These breaks need to fall at logical points in the story, of course. A good rule of thumb is to try to keep each paragraph to just two or three sentences — more if the sentences are very short, fewer (maybe even just one!) if the sentences are very long. Byline – Certainly we need to know who wrote every story. And in most cases, that name (or names) should appear at the top of the story as a byline. In addition to the name, it’s helpful for our readers to understand the author’s connection to the story or special expertise that they brought to the story. This is usually accomplished by naming the organization they are with and giving their title (if the title seems relevant). If they have no special connection to the story and just wrote it to help out the Beacon, then that second line should say “For the Beacon” or “Beacon staff,” whichever is appropriate. Photo caption – If there’s a photo, we need a short caption that helps the reader understand what they’re looking at. Where, when, and why are also nice to know, but most important is “who” – be sure that people are clearly identified in the caption, left to right and front to back. Photo credit – Who took the photo? Are we sure they’re OK with it appearing in the Beacon? If it’s a photo that has been published elsewhere, then we probably can’t use it for fear of breaking copyright laws. 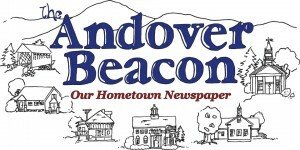 The Beacon is not a “journal of record”; if people want to read the real, official minutes, they should go to the Town Office … that’s why the minutes get filed there. The Beacon just publishes a condensed version of the minutes, focusing on the information that’s actually interesting and/or useful to our readers. So we don’t want to publish every word of the minutes as written. Minutes are what they are — a rather desultory attempt to keep people abreast of meetings they should have attended if they want to know what’s going on. And no amount of lipstick (to continue the porcine metaphor) is going to make them anything more. Housekeeping: A certain amount of every committee’s time is devoted to simply running the committee (as opposed to doing the business that the committee is charged with). Most of that really doesn’t interest our readers and can be deleted. Organizing the Good Stuff: Once you’ve got rid of all the junk, look at the minutes overall and decide if the minutes are basically a long set of short, unrelated topics (which is often the case) or if the meeting had a larger overarching structure, ie they discussed Topic A, then Topic B, and finally Topic C, some or all of which had several subtopics to be worked through. A long list of short topics is best handled like the list of short topics you’re currently reading, ie a word or short phrase in bold, followed by a colon, marks the beginning of each short topic. If the meeting had more structure than that, then using subheadings for Topic A, Topic B, and Topic C would work well, with the individual subtopics flagged using the bold-phrase-followed-by-colon approach. Bulletted Lists: Minutes often contain lists; some work well as bulletted lists … others don’t. It’s mostly about making the list look good within the very narrow columns of a newspaper. If it’s just a list of short phrases, like a list of road names, a bulletted list is probably OK. If it’s a list of long phrases or complete sentences, like a list of ideas to pursue, then it probably wouldn’t look good with bullets. The bold-phrase-followed-by-colon approach would work, but only if the overall topic has been separated from the rest of the minutes with a Topic A subhead. You can see how tricky this gets when the minutes are, for example, mostly just a list of short topics, but there’s also one long topic that has a bunch of subtopics. Arrrgh! Making that look good requires some careful thought and ingenuity. Sentence fragments are OK if they seem appropriate and intentional. Broken sentences (including inappropriate or unintentional sentence fragments) should be fixed. Be sure commas are used properly, names (including names of committees) spelled consistently and properly, acronyms spelled out on first reference, etc. Using notation like 10′ (for ten feet) or 1o” (for ten inches) is fine, but other than that our rules against abbreviations pretty much apply. There are a few special edits we need to make to obituaries, especially those we take from the Concord Monitor. Be especially careful about the commas and semi-colons in the list of survivors. A good approach for a long and complex list is to separate the major “clumps” with semi-colons and the various elements of a given “clump” with commas, i.e. “… her husband, Paul; two sons, Paul Jr. of Rhode Island and Brian of Massachusetts; three daughters: Jeanne of Arkansas, Joan of Kentucky, and Cindy of Maine; one sister, Joyce Kochol of Florida; one brother, Ronnie Rousseau of Arizona; several nieces and nephews; and many grandchildren and great-grandchildren.” A shorter, simpler list may work with just commas. Information about the memorial service, burial, etc. is usually out of date by the time we get the obituary (and that’s OK). If that’s the case, tweak the appropriate sentences to be in the past tense. If you tweak them, you can certainly eliminate the specific times and probably even the specific dates – the event and where it took place is probably enough. There are a few special edits we need to make to the police report. BE VERY CAREFUL with this one! Under certain circumstances, it’s illegal to mention a minor’s name. (Minors are 17 or less.) But the circumstances vary by the type of offense. Tobacco – Only offenders 12 or older can be named. Motor Vehicle – Only offenders 16 or older can be named. Criminal – Only offenders 18 or older can be named. Just so you know, the first edit of an article isn’t the last. As the story gets typeset and placed on a page, it may have to be edited for length. Some length problems can be solved by tinkering with the layout or the typesetting, but sometimes we do have to carefully cut the least-important bits of the article to make it fit. And once the pages have all been laid out, everything gets read one more time. This proofreading step should primarily look at layout and typesetting issues, as the first edit (also called “copy edit”) should have caught all the other problems we’ve described above.